As a finance and strategic management professional, I’ve had the pleasure of spending my time helping others in such a specifically challenging industry. My name is Jansen, and you can call me Jansen without issue: there’s no need for any hierarchical, rigid thinking in my classrooms. My aim here is to help you learn through excitement, interest, innovation and expanding of your present way of looking at a particular background. Although my background is in the cold, fact-oriented world of finance, I’m also a mastermind in strategic management. This helps me to look beyond what is already present, so that I can fill in what is missing. This has been my professional background for some time, as my love of management and my passion for numbers help me to show the next generation what to look out for. the world of management is changing: I’d like to help you keep up with that change. For over a decade, I’ve been involved in helping various organizations to make intelligent, lasting change to the way that you work. I’ve been involved in numerous projects over the years, across multiple disciplines. From strategic finance and corporate finance to project funding and location of investment, I do everything I can to make changes when they are needed. Private equity investment, strategic business planning … my professional career has seen me make positive changes in many businesses. I would love to help you learn about this from me, and to help get a better understanding of the unique challenges that make up being a finance and strategic management professional. I know how hard it can be to get the job done, and that there’s much to discuss and look into if you are serious about finding a lasting form of success that feels tangible. This is why I use my other passion to help make every lesson as enjoyable as possible: music! Music is a major part of my own personal development. I help to coach and direct the choir teams at my local church and other organizations. As someone who loves to help people come together to form the perfect harmony, I make sure you are always well and truly on the right path to progress. I love sharing my passion with the music world, and using my control of orchestral sounds to help those in the finance industry. This combination has become part of why my courses are so well-received: people love to learn in a creative, open-minded location where all opinions are welcome. I have delivered numerous programs over the years for professionals, with each one developed to help them understand the link between music and business. Success in all walks of life comes through the combination of teamwork to make a symphony. 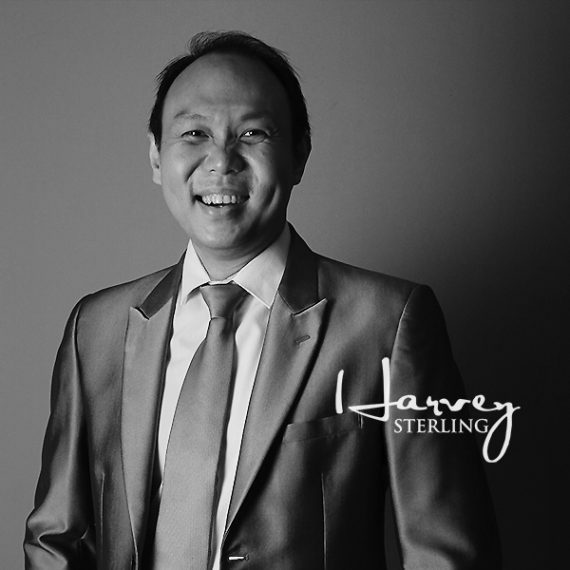 If you would like to learn how to create that same symphony as a finance and strategic management professional, my class at HarveySterling Indonesia might just be the ideal place to start. So, let’s learn from each other, share notes, and succeed!